The Green Girl is pleased to announce the winner of the Running for Angels Virtual Summer Race Giveaway. There was one entry submitted via blog reply. By default, that entry is the winner. Congratulations, LeAnn from Sole Runners! The Running For Angels 5k race series benefits the Foundation For Angelman Syndrome Therapeutics to help fund important research for treatment for Angelman Syndrome. Angelman Syndrome is a genetic disorder. Characteristic features of this condition include developmental delay, speech impairment, and problems with movement and balance (ataxia). Angels have a happy demeanor and laugh easily. While Angels cannot speak, they do have much to say. Many angels also suffer from epilepsy. The seizures can be debilitating and, in some cases, even fatal. Registration for the Running for Angels Summer Race the week of August 25th is still open. Participants have the option to complete a 5k, 10k, half marathon, full marathon, or team marathon. 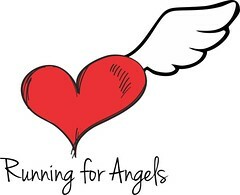 Please show your support by taking a moment to 'Like' the Running for Angels Virtual Race Series on Facebook. awww, hope I was able to see this post last month. I am actually looking for a racing event like this because my husband would love to join. But it's ok since he suffered from some sort of joint health problem during the time this was held. Congratulations by the way. Looks like this is a success.